There is so much pleasure in owning a work of art done by a friend. 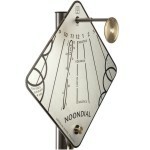 For a sundial person the pleasure is even greater when this is a sculpture that can show the time. 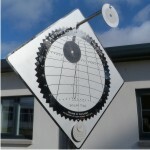 Today we set the sculpture up at home and we were amazed how beautifully it comes to life in sunshine. 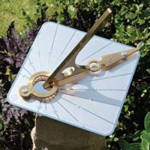 All the fundamentals of a sundial underlie this marvellous creation. 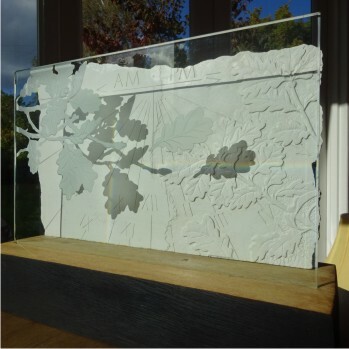 The backdrop is a detailed carving in relief of woodland leaves and rays of sunshine. 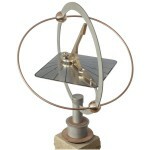 The rays of the sun are the hour lines for the sundial. 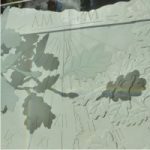 The foreground is etched on glass. It shows a twig of oak leaves overhanging and a single leaf floating away on the breeze. 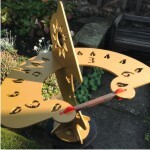 An oak bud forms the gnomon and completes the sundial. 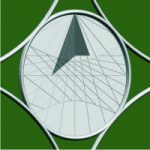 Its tip is in an exact position, which is called the nodus. 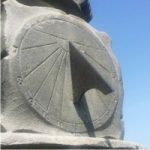 The shadow points to solar time. 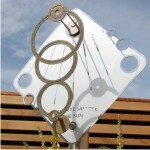 This wonderful creation is by the hand of Tim Chalk of Chalkworks who is known across Scotland for his sundial art.